Understanding the process is the first step in making informed choices, and finding the right partner in Customs Clearance is what guarantees the most efficient and effective outcome. Check out the three phases of CUSTOMS CLEARANCE to learn more. A Business Number (BN) is issued by the Canada Revenue Agency (CRA) for an import/export account. Identify the country where your goods originate. This does not simply mean the country from which the product was shipped to you. This may also include country from where individual parts of the product are from. This may also include country where all parts were assembled into the final product. Goods must be clearly marked with country of origin. Gather ample information about the goods including but not limited to product literature, material composition, size, weight, etc. Less obvious items such as used mattresses and some used automobiles. Many goods are subject to the requirements of other government departments (OGD) and agencies and may require permits, certificates, and/or inspection. The CBSA is responsible for administering the legislated import requirements on behalf of other government departments. Multiple government departments may have a role to play in the requirements and regulations pertaining to the importation of certain goods; it is therefore beneficial to contact any that may play a role. The CBSA’s Other Government Departments and Agencies: Reference List for Importers provides a list of some of the most commonly imported commodities that may require permits and/or certificates. More comprehensive information can be found in Memoranda Series D19, Acts and Regulations of Other Government Departments. The special measures available under the SIMA include anti-dumping duties, countervailing duties and undertakings. Please consult the monthly index of products subject to SIMA for more information. Please refer to Memoranda Series D14, Special Imports Measures Act for more information. Before you import certain goods into Canada, you must determine whether they are subject to domestic controls. Any person who examines, possesses or transfers controlled goods domestically is legally (Under the Defence Production Act (DPA) and the Controlled Goods Regulations) required to register with Public Works and Government Service’s (PWGSC) Controlled Goods Program (CGP). You need to assess or request the help of your Broker to assess if your goods fall under any of the trade agreements across nations that can offer you a preferential duty rate. All the requirements of a particular trade agreement or tariff treatment must be satisfied in order for you to benefit from a preferential duty rate. CLICK HERE to learn more about Preferential Rates. You must possess proof of origin for the specific trade agreement at the time of importation. For example, to claim the UST you must have a valid NAFTA Certificate of Origin. Requirements for proof of origin can be found in Memorandum D11-4-2, Proof of Origin published by CBSA. More information on marking requirements is found in Memorandum D11-3-1, Marking of Imported Goods published by CBSA. For more information on prohibited products, please consult Memoranda Series D9, Prohibited Importations published by CBSA. Please refer to Memoranda Series D14, Special Imports Measures Act and D15, Special Import Measures Act – Investigations for more information. Please also view PWGSC’s Guide to the New Schedule to the Defence Production Act. General tariff information and guidelines can be found in Memorandum D11, General Tariff Information published by the CBSA. 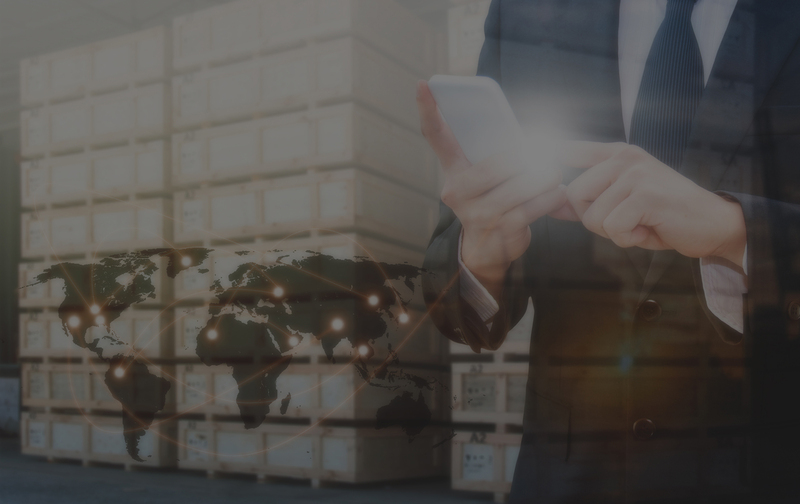 Classify your goods and build a database containing cross reference to a 10 digit Tariff classification number for each of the goods you will be importing into Canada. Determine the Applicable Tariff Treatment for your goods and respective rate of duty, considering any preferential duty rates. CLICK HERE to learn more about Preferential Rates. Determine if your goods are subject to the Canadian Goods and Services Tax (GST). BorderStream uses the Bank of Canada’s exchange rate where applicable. CLICK HERE to see current exchange rate. Determine if the value of goods for the purposes of applicable duties. specified under this category with the exception of North Korea. Please maintain all records pertaining to the import for up to six years. Imported goods can be subject to an audit/inspection by the Canadian Customs up to 4 years after importation and the duties and taxes can be revised and new duties and taxes can be assessed accordingly. If the CBSA deems it essential to modify the original accounting of duties and taxes, it will issue a Detailed Adjustment Statement (DAS). All importers have 30 days to pay the adjusted duties and taxes. All importers have the right to ask for an impartial review of most decisions (tariff classification, origin, or value for duty of imported goods) after an audit. Request for Adjustment must be made no later than 90 days after the date of the initial decision. Any error in the accounting information identified post release of goods must be reported to CBSA. All importers are required to modify any erroneous information within 90 days after discovery of the error. If a change in the accounting information results in a refund of duties or taxes paid to CBSA, then the importer must file an application for a refund. This filing can be done within four years from the date the goods were accounted for. Adjustments which reduce the amount of duties payable, CBSA will refund the duties and taxes or issue a rebate. If a change in the accounting information results in additional duties owing to CBSA, then the importer will need to remit the additional amount and the applicable interest to CBSA. For more information on maintenance of records and books in Canada by importers, refer to Memorandum D17-1-21, Maintenance of Records in Canada by Importers. For information on the dispute resolution process, refer to Memorandum D11-6-7, Importers’ Dispute Resolution Process for Origin, Tariff Classification, and Value for Duty of Imported Goods..
Self-adjustments must be submitted on Form B2, Canada Customs – Adjustment Request. For information on the coding and processing of adjustment request forms, please refer to Memorandum D17-2-1, The Coding, Submission and Processing of Form B2 Canada Customs Adjustment Request. For more information on self-adjustment, please refer to Memorandum D11-6-6, “Reason to Believe” and Self-Adjustments to Declarations of Origin, Tariff Classification, and Value for Duty and Memorandum D6-2-3, Refund of Duties.